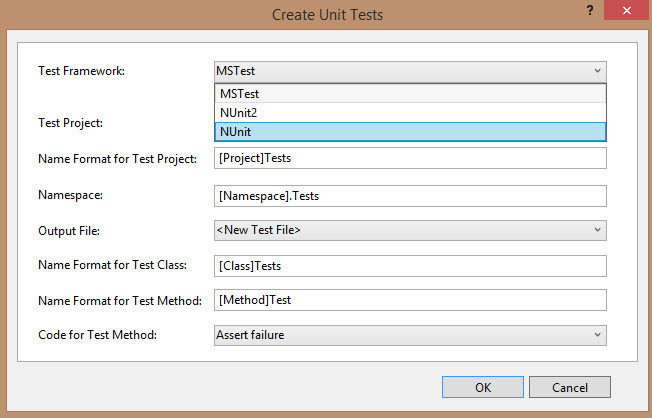 Test Generator, NUnit extensions for Visual Studio. Creates Unit tests and Intellitests with both NUnit 2.6.4 and NUnit 3 frameworks. Works on Visual Studio from version 2017. 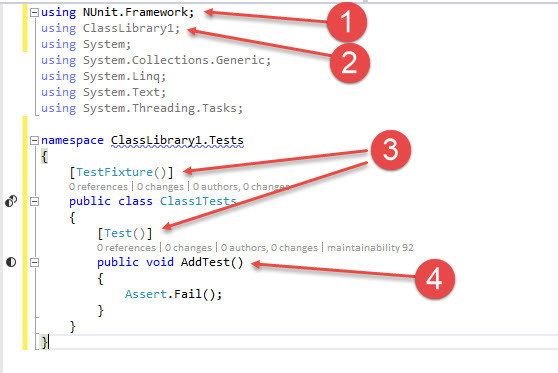 This is an extension for Visual Studio 2017 and 2019 that extends Visual Studio to allow you to create unit tests and IntelliTests using NUnit. It can generate tests using either NUnit 2.6.x or NUnit 3.0. Select NUnit or NUnit2 from the Test Framework dropdown.